Sebelumnya telah dijelaskan "secara aneh" mengenahi perbedaan report text dengan descriptive text. Penjelasan tersebut mungkin dirasa bukan penjelasan yang akurat, tapi bisa juga menggambarkan betapa miripnya antara descriptive text dan report text. Oleh karena itu, kita harus jeli membedakan keduanya. Rock music is part of popular music today. It is played and listened in almost every country in the world. 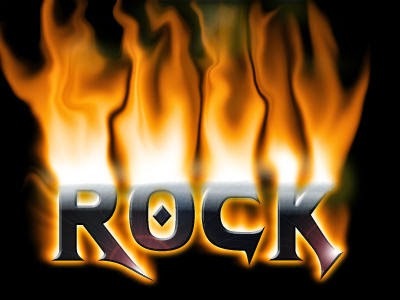 Rock and roll was the name given to the music that developed in the early 1950's. It is believed that the term rock and roll was first used by a disc jockey, Alan Freed. In 1955, records of a young singer from Tennessee, Elvis Presley, were heard across the US. After he appeared on nation-wide television, Elvis Presley's singing and his performing style came to mean rock and roll all over the world. Then came Bill Haley and The Comets. Rock mainly became the music of the young. They understood its beat and sound, and its lyrics. The 1970's were the time of big developments in the rock industry. Rock became a very big business, earned more money annually than any other form of entertainment including the film industry.